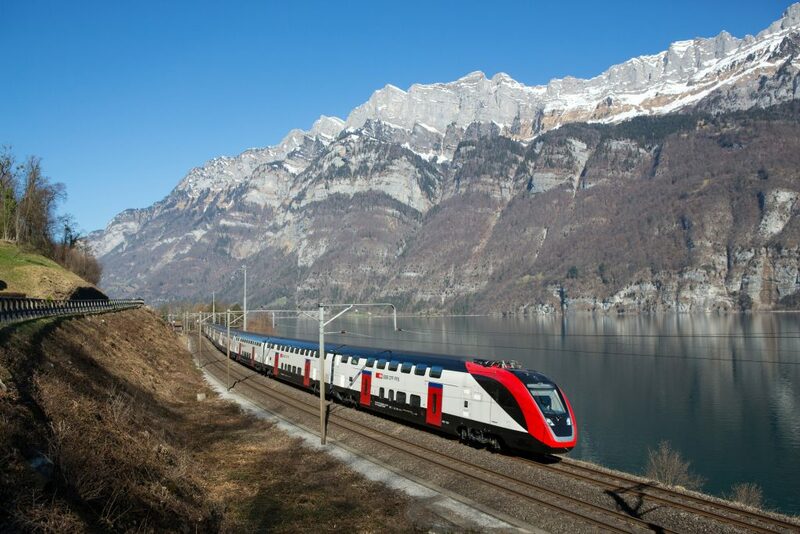 SBB’s new double-deck FV-Dosto EMUs have been issued with a two-year operating licence by the Switzerland Federal Office of Transport (BAV). The trains, which were originally ordered by SBB in 2010, were issued with a temporary licence in December 2017 and carried their first passengers earlier this year. Manufacturer Bombardier said it was an “important step” towards the inclusion of the units in the new timetable, which comes into effect on December 9. BAV said some of the conditions relating to the ETCS system needed to be met before a full operating licence could be issued. Bombardier added that it believed the two-year term would not impact on the operations of SBB or its passengers. Since the order was placed for 59 long-distance trains back in 2010, the design and certification of the new fleet has faced several delays. In 2014, Bombardier and SBB agreed to a revised delivery schedule – a deal which included Bombardier giving SBB three additional units for free. Following the award of a temporary operating licence in November 2017, a Swiss disabled access group filed a legal complaint in relation to the interior design, which it felt would present various challenges to disabled passengers. The appeal is ongoing.